In my previous Battle of the Sample Boxes I mentioned that I might be retiring the format. Sample Society and Ipsy are so different and hard to compare. I also mentioned that I was considering cancelling Sample Society. I am SO happy that I didn't! 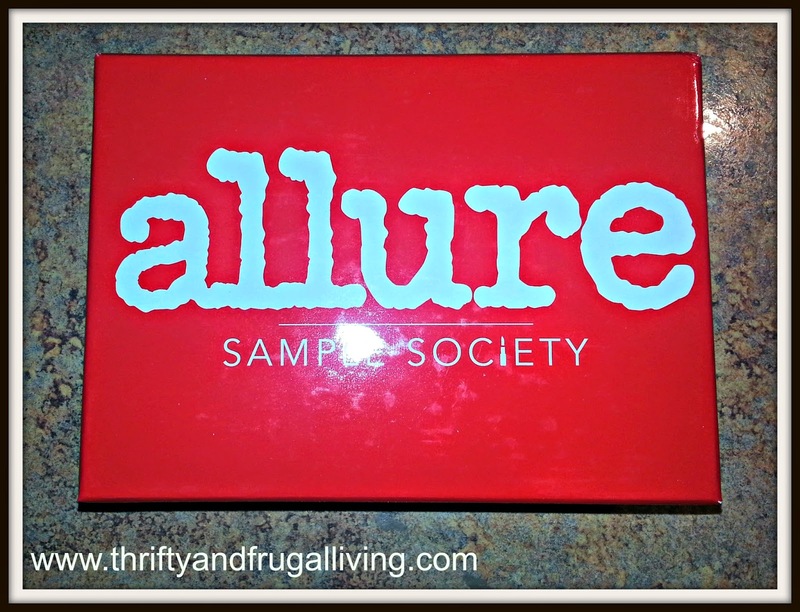 Sample Society has always been a collaboration of Allure and Beauty Bar. However, I think Beauty Bar was doing most of the decision making regarding products. Now, Allure is picking the products that are sent out in the boxes. This month was a drastic improvement over my past boxes. I will definitely be keeping them now! *Each box comes with an insert describing each product, why Allure loves it, the full size prize and even tips on how to use it. Sorry for the bad photo, the products were shiny this month! I initially thought that it was full sized, but later learned it is not. 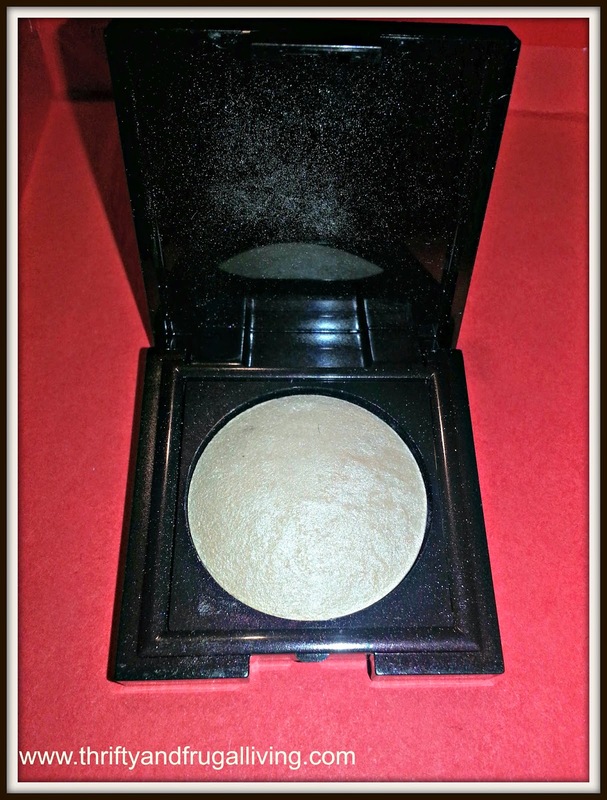 This so called sample will last forever because you only need a tiny bit of the powder. The French perfume (please, please don't make me type that ridiculously long name again) is heavenly. I must admit that I am wasting it a bit because it smells so freaking good. I can not help but to keep spraying it. It has citrus notes with a bit of lemon and musk. It is unisex, but I won't be sharing. I wish it was cheaper so that I could buy a bigger bottle. At $175, it is not happening. L'Oreal Paris has always been one of my favorite drug store brands. This lipcolor is amazing. It feels like a mixture of a lip butter and a gloss. The color that they sent me looks pink in the bottle, but it is really close to my natural lip color. So, it is extremely flattering. The best part is that it tastes good! I adore Butter London and own several of them (even though I have never purchased one myself at $15 a bottle). Unfortunately, one of my other sample boxes (or it may have even been Sample Society) had already sent me a silver Butter London. This one is too similar to keep, but it will make my Mom very happy. Last but not least, Fekkai. I love Fekkai shampoo and conditioner. I am excited to see how the hair mask works. I have not used it yet, but it smells awesome. If nothing else my hair will smell good. As you can see, I am VERY happy with the Sample Society changes. 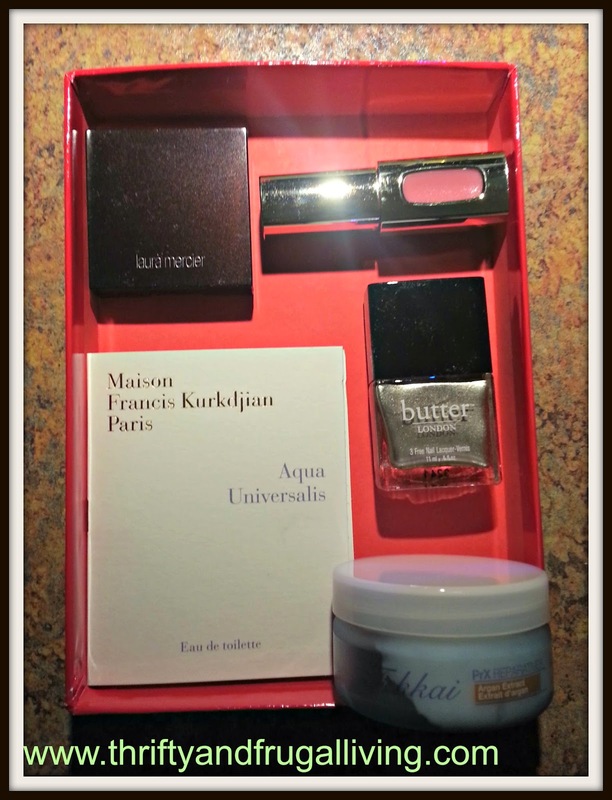 Allure was the main reason that I signed up for this box in the first place and I am happy to see them more involved. The monthly credit you receive with the box went from $15 to $10, but now you can use it on any Beauty Bar purchase (you used to have to buy a brand that was in the box). I never use the codes anyhow, so I am fine with that. If I had compared this with Ipsy in Battle of the Sample Boxes, Sample Society would have won. My Ipsy bag arrived extremely damage and they are only replacing part of it, so I may not have a review this month for Ipsy (we shall see). I really hope that Allure keeps the Sample Society boxes up to this standard! Do you get any sample boxes? What did you receive? If you leave a link to your post, I would be happy to visit and comment. Disclaimer: I pay for my subscription to Sample Society and I am not compensated in any way for posting. I just enjoy sharing my boxes with my readers. Great post! Thank you so much for sharing it with us. Allure always chooses the best products! Allure has the best stuff,ty for the post.